HTML is a markup language used in most of the pages of the World Wide Web. HTML files are text files that, unlike completely plain text, contain additional formatting markup—sequences of characters telling web browsers what parts of text should be bold, where the headings are, or where tables, table rows and table cells start and end. HTML may be displayed by a visual web browser, a browser that reads the text of the page to the user, a Braille reader that converts pages to a braille format, email client, or a wireless device like a cellular phone. This book is a guide to CSS–cascading style sheets, a technique widely used in web pages including Wikipedia to describe their visual style and appearance. A completely illustrated, 33 chapter, basic beginners guide to HTML, that will teach even the most inept among us how to build a basic web page from scratch. Using Notetab Lite (freeware), the author guides you through using the application and coding your pages, adding text, links, graphics, and more. Note: Although the top of the table of contents page may lead you to believe this is a Photoshop tutorial, it is an HTML one. Preface and Introduction. You need HTML! Tags – make it work. Color and spacing in tables. Let’s make a travellers homepage. Copy text to the page. About publishing on the net. Get a counter for the page. 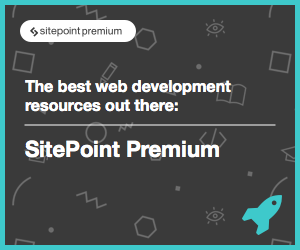 A comprehensive reference written by two of the world’s most renowned CSS experts. 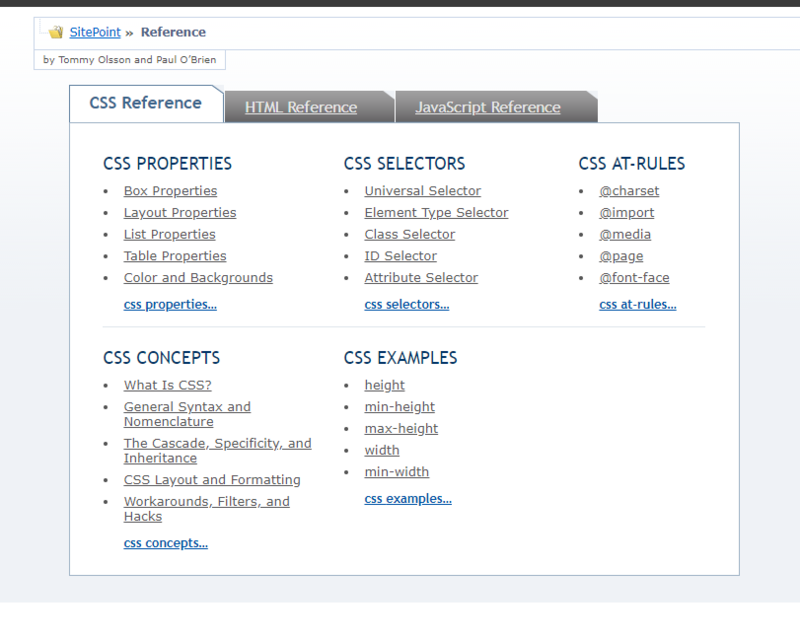 Although it is well written, this is an older reference and does not reflect the changes and additions introduced with CSS3. Sams Teach Yourself HTML 4 in 24 Hours, Fourth Edition, is a carefully organized tutorial that teaches the beginning Web page author just what you need to know in order to get a Web page up in the shortest time possible. The book covers only those HTML tags and technologies that are likely to be used on a beginner’s Web page, and it is organized in a logical step-by-step order. 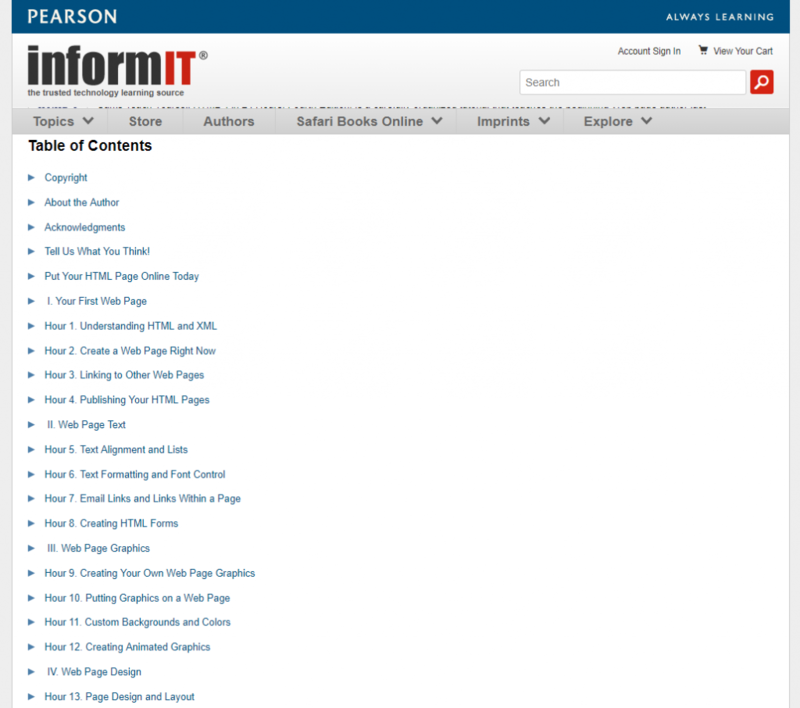 This new edition updates coverage of new Web publishing technologies. Refined and reworked parts of the book to make it even more clear and straightforward for beginners. This book is a catalog of the mistakes that I’ve made while building more than 100 Web sites in the last five years. I wrote it in the hopes that others won’t have to repeat those mistakes. In a society that increasingly rewards specialists and narrowness, Web publishing is one of the few fields left where the generalist is valuable. To make a great site, you need to know a little bit about writing, photography, publishing, Unix system administration, relational database management systems (RDBMS), user interface design, and computer programming. I have thus assumed no specific technical background among my readers and have tried to make the text self-contained.